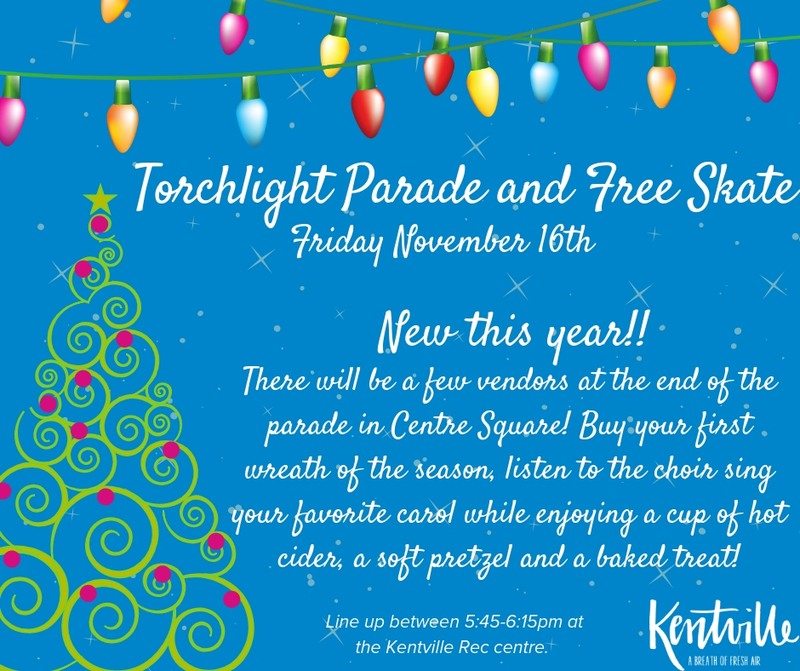 Come join us for the annual Torchlight Parade and Free Skate. 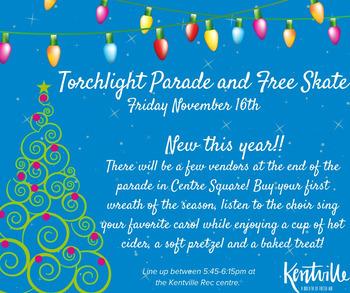 Line up from 5:45 - 6:15 pm at the Kentville Recreation Centre. The Parade will start promptly at 6:20pm. At the end of the Parade in Centre Square, we will countdown to light up the square! Get your picture with Santa, buy your first wreath of the season, enjoy a hot dog, hot cup of cider and a sweet treat all while listening to carols being sung by the choir! The free skate is from 7-8:30pm.